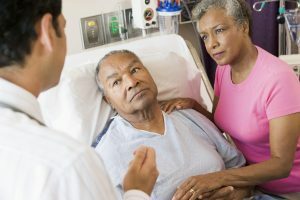 Misdiagnosis is a significant problem in the U.S. Studies have found that between 10 and 20 percent of cases are misdiagnosed and approximately 12 million people who seek outpatient care for a health problem experience a diagnostic error such as an incorrect, late, or missed diagnosis. The best way to protect yourself from these errors is to get a second opinion from a physician who is experienced in treating the condition you’ve been diagnosed with. Data gathered from 1,000 cases we’ve handled for members highlights the importance of getting a second opinion, especially when you’ve been diagnosed with a serious or uncommon condition or you’ve been told you need surgery. Almost 77 percent of the second opinions we helped members obtain after an initial diagnosis led to changes in diagnosis, treatment and/or treating physician. One of our members had been diagnosed with osteoporosis by a physician who did not in fact have a great deal of experience treating the condition, though he told the member he specialized in treating this disease. The member was prescribed a new medication, but over the course of two years of treatment, her bone density did not improve significantly. When she went for an annual physical, blood tests found that her calcium levels were elevated. Both her primary care physician and the physician treating her osteoporosis attributed this to the medication. We arranged an appointment for the member with a well-known osteoporosis specialist. After noting her elevated calcium levels, he immediately arranged a test for a parathyroid tumor, a condition that not only caused the rise in calcium levels but also made the osteoporosis medication she had been taking less effective. After the tumor was removed, her calcium levels quickly returned to normal and the specialist developed a plan to treat her osteoporosis. Another member’s mother was taken to the hospital because she had chest pains. The physicians there said she needed cardiac bypass surgery, a risky surgery for a person in her 80s with other cardiac issues. Because the member lived hundreds of miles away from his mother, he wasn’t able to get to the hospital and was not comfortable with the recommended course of treatment. We arranged for a virtual second opinion with a cardiologist from Johns Hopkins Hospital who determined that she needed an aortic valve replacement and did not need the bypass surgery. Second opinions from experienced physicians are one of the most important tools you have to ensure that you receive an accurate diagnosis and appropriate treatment plan.